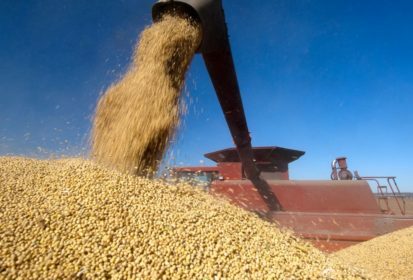 Beijing/Washington | Reuters — China quickly hit back on Wednesday at Trump administration plans to slap tariffs on US$50 billion in Chinese goods, retaliating with a list of similar duties on key U.S. imports including soybeans, planes, cars, whiskey and chemicals. The speed with which the trade struggle between Washington and Beijing is ratcheting up — the Chinese government took less than 11 hours to respond with its own measures — led to a sharp selloff in global stock markets and commodities. “The assumption was China would not respond too aggressively and avoid escalating tensions. China’s response is a surprise for some people,” said Julian Evans-Pritchard, senior China economist at Capital Economics, noting that neither side had yet called for enforcement of the tariffs. Beijing’s latest list of 25 per cent additional tariffs on U.S. goods covers 106 items with a trade value matching the $50 billion targeted on Washington’s list, China’s commerce and finance ministries said. The effective date depends on when the U.S. action takes effect. China’s tariff list covers aircraft that would likely include older models like Boeing’s workhorse 737 narrowbody jet, but not newer models like the 737 MAX or its larger planes. A Beijing-based spokesman for Boeing declined to comment. Beijing’s announcement triggered heavy selling in global financial markets, with U.S. stock futures sliding 1.5 per cent and U.S. soybean futures plunging nearly five per cent and on track for their biggest fall since July 2016. The dollar briefly extended early losses, while China’s yuan skidded in offshore trade. Hours earlier, the U.S. government had unveiled a detailed breakdown of some 1,300 Chinese industrial, transport and medical goods that could be subject to 25 per cent duties, ranging from light-emitting diodes to machine parts. “But the best opportunities for resolving the issues through dialogue and negotiations have been repeatedly missed by the U.S. side,” he told a regular briefing on Wednesday. The tariff list from the office of U.S. Trade Representative Robert Lighthizer followed China’s imposition of tariffs on $3 billion worth of U.S. fruits, nuts, pork and wine to protest new U.S. steel and aluminum tariffs imposed last month by Trump (all figures US$). Many consumer electronics products such as cellphones made by Apple Inc. and laptops made by Dell were excluded, as were footwear and clothing, drawing a sigh of relief from retailers who had feared higher costs for U.S. consumers. A U.S. industry source said the list was somewhat unexpected in that it largely exempts major consumer-grade technology products, one of China’s major export categories to the U.S. Such policies coerce U.S. companies into transferring their technology and intellectual property to Chinese enterprises and “bolster China’s stated intention of seizing economic leadership in advanced technology as set forth in its industrial plans,” USTR said. USTR did include some key consumer products from China, including flat-panel television sets and motor vehicles, both electric and gasoline-powered with engines of three litres or less. Among vehicles likely to be hit with tariffs is General Motors’ Buick Envision sport-utility vehicle, which is assembled in China and sold in the U.S. Volvo, owned by China’s Geely Motors, also exports Chinese-built vehicles to the U.S.
China ran a $375 billion goods trade surplus with the U.S. in 2017, a figure that Trump has demanded be cut by $100 billion. — Reporting for Reuters by David Lawder, Jason Lange, Ginger Gibson, Steve Holland, and David Chance in Washington; Michael Martina, Cheng Fang, Ryan Woo, Ben Blanchard, Tony Munroe, Cate Cadell, Philip Wen and Dominique Patton in Beijing and Engen Tham in Shanghai; additional reporting by Brenda Goh in Shanghai, Stella Qiu in Beijing, Tom Miles in Geneva and Michael Hogan in Hamburg.